For more than a year now people have been talking and writing about the group Drama. The band comprised a number of individuals who had already made their marks in the past in several different bands: Polle Eduard (Tee Set, After Tea], Drummer fen "Shell" Schelfekens (InCrowd, Big Wheel), Ulli Grun (Boots, After Tea), and the young guitar virtuoso Frank Van Der Kloot (Bobby's Children and soon to play on the new Barry Hay album: 'Only Parrots, Frogs And Angels'). Twenty five years ago it was Harrie Knipschild, Hollands best known blues expert, who started penning his praise for the band Drama in the Veronica Television Magazine. 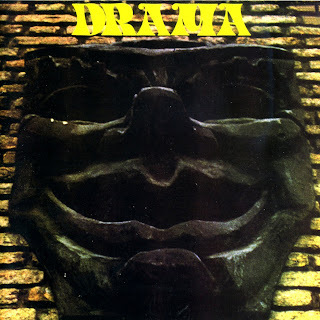 Drama started after splitting of the band After Tea (Trio: Ulli, Shell and myself). We needed a new challenge, and with the addition of guitarist Frank Van Der Kloot we grew into a band with, what's the word, balls. Record companies quickly became interested and we were even given studiotime without even having written anything. We used the studio to write and rehearse, and because we all had the same blood group, we all knew that it would only be a matter of time before the material came rolling out. Now, on the 23rd of July 1997, with the help of a dog eared scrapbook and a somewhat scanty memory, I'm trying to write a foreword for the soon to be appearing Drama CD. Initially I was pleased that this was happening, even though our friend and Drama producer Hans Van Oosterhout won't be able to enjoy it. Hans slipped peacefully into an eternal sleep on the 4th of May 1995, but I know he would have been proud that this was happening. Apart from the fact that Hans was also Supers/Step's producer, he was also responsible for a large part of the Drama sound. By this I don't mean the sound on 'Mary's Mama' (produced by Peter Koelewijn). 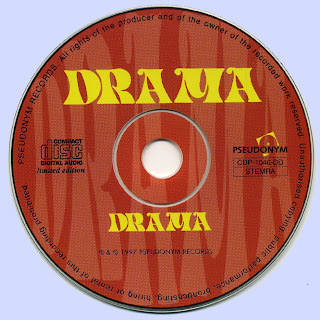 Phonogram had spent a lot of money on Drama by that time, and after the tiring creation of the album, a hit was most welcome. 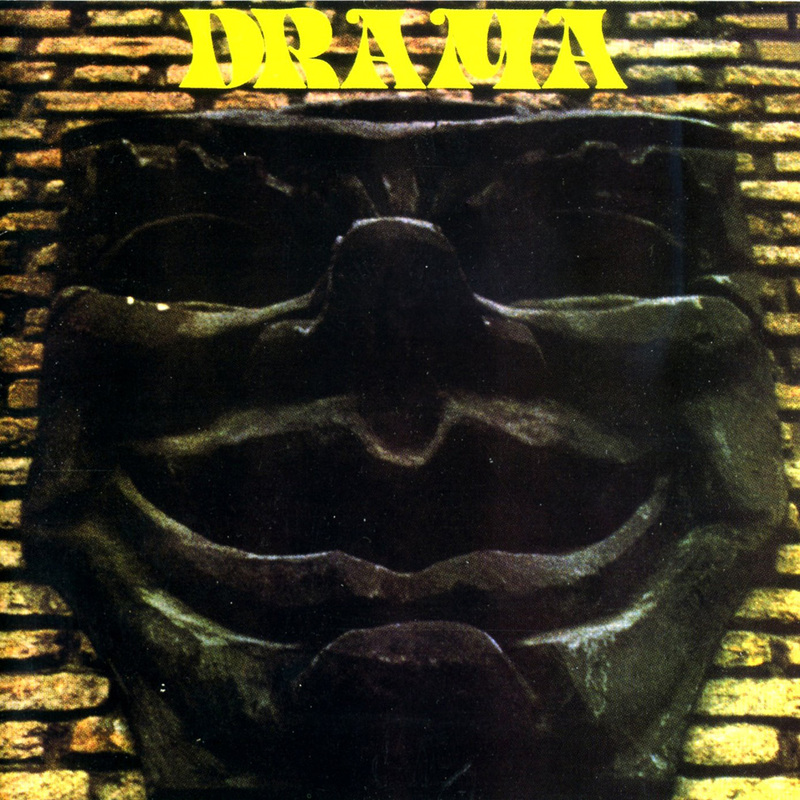 Koelewijn came, and Drama had themselves a hit which they subsequently refused to play live. It wasn't particularly a "Drama" but it was quite difficult trying to explain that to irate venue owners after our gigs. We were quite often involved in hassles after our shows, but never had any trouble with our real fans who had already bought the album anyway. Drama came and went quite quickly. After Ulli had gone back to Germany and we'd once more become a trio, we no longer had a recording deal, and couldn't find much work. 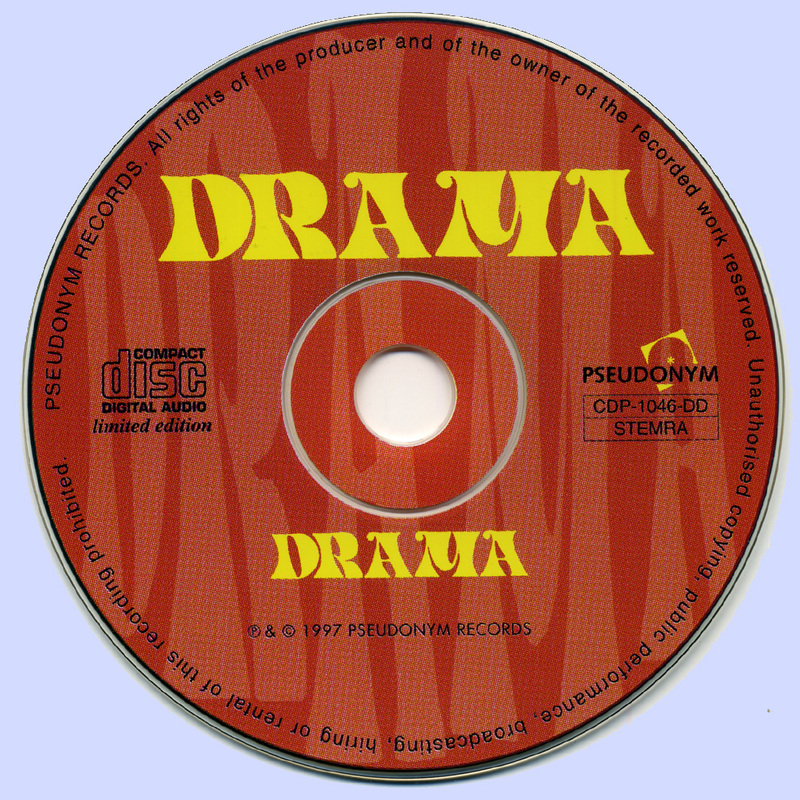 Quite good reasons to call it a day I can't really think of anything else to say at the moment except that this should have been a double CD with one “studio” disc and one "live1 disc to give you a good picture of what Drama were really about. Because live, without leaving a trace of modesty, we were something else. searched your blog for Barry Hay and stumbled about this fantastic, for me unknown band from the Netherlands. I checked the link and what a 'drama', safe-link doesn't work anymore. Now I hope that it is possible for you to reupload this great album. Thanks in advance. Marios, you are nearly fast as the speed of light. I did not expect your answer and a new link so soon. Thank you so much once again. Your blogs are so fantastic.